As email rapidly took over from letter writing and mailing physical photos, personal and business communication took on an electronic form that seems ethereal by comparison. Why convert an email into a picture when you could just print it, or save it as an email file? Printing isn't desirable because of the perishability of paper and the storage problems that come with it. Storing an email file might not be as future-proof as as an image file to future generations. Recently, several MessageExport customers have told us about their novel use of MessageExport. They have been using the email imaging abilities of MessageExport to convert important family emails into JPG image files. These 'pictures' of email are then stored to their photo storage system under the Received date of the email. The reason for converting the email to JPG was that this approach preserves the content of the email message and make it easily accessible to future generations. Our customers wanted to capture the email message as it was rendered in Microsoft Outlook, with colors and images, and the formatted signature that gave the message a little personality. Here's a video we made about how to use MessageExport for MS Outlook to convert any Outlook email into JPG photo. You can try MessageExport free for 15 days! Get the free trial and see what MessageExport can do for you! 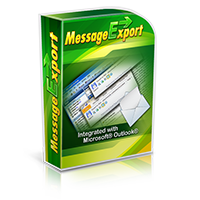 MessageExport is an Add-in for Microsoft Outlook. Use it to export your email from Outlook to different formats, in different ways. MessageExport extends and automates Outlook's ability to convert and export email messages. "How to move an Outlook folder to the Windows desktop, and save the emails as .eml?" (C) Encryptomatic LLC. Simple theme. Powered by Blogger.